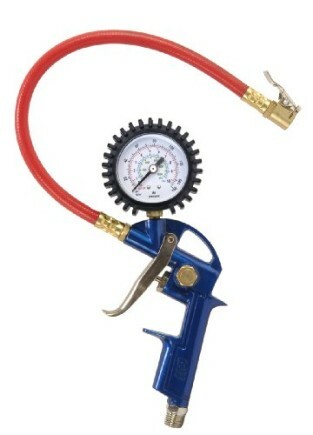 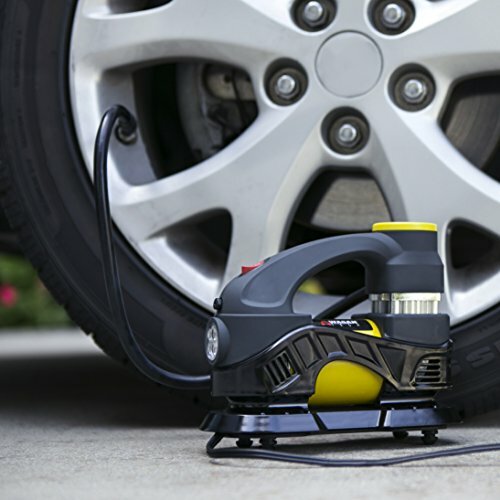 This high-speed air compressor quickly inflates your car tire in only 3 to 4 minutes. 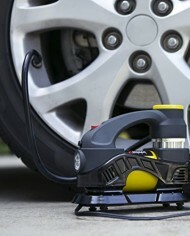 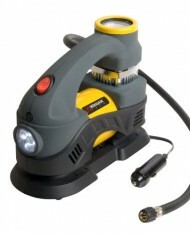 It features rapid air drift of 35 liters per minute and 100 PSI of pressure. 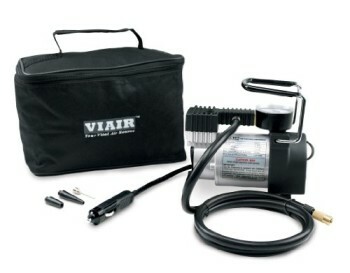 Setup couldn’t be easier, simply plug it into your vehicle’s 12-volt DC lighter socket and you are prepared to go. 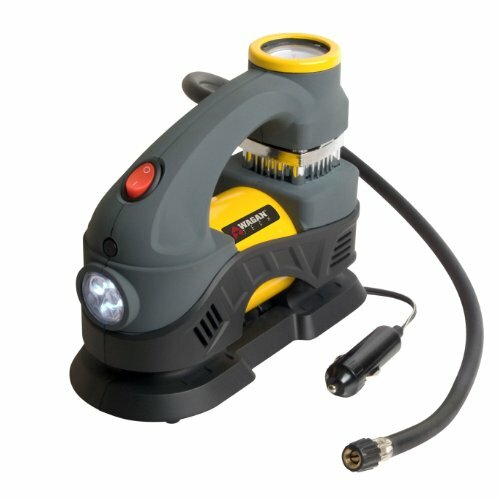 A bright 4-LED light at the front of the unit helps you see even as working at night. 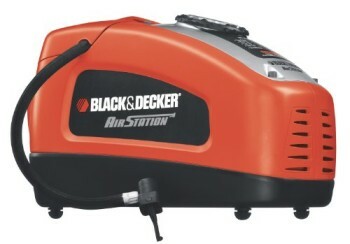 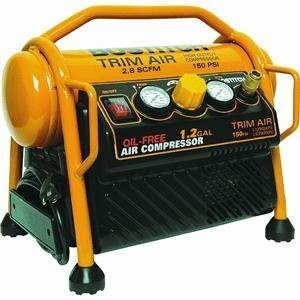 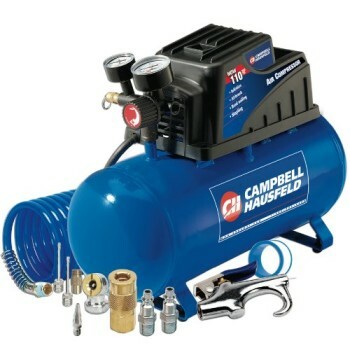 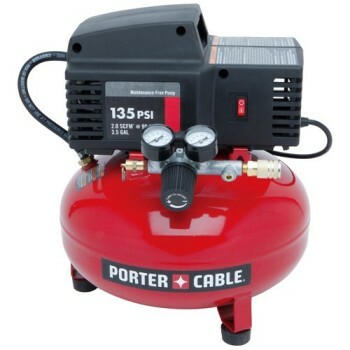 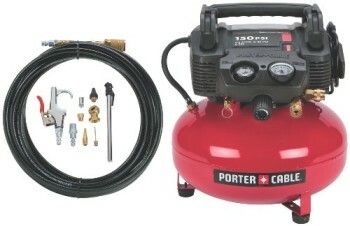 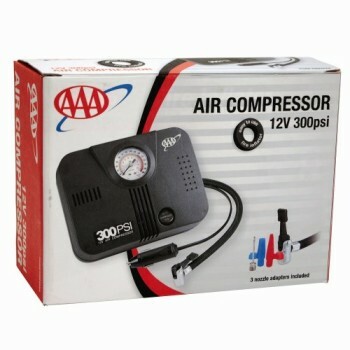 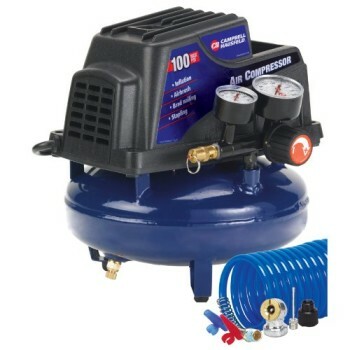 This compressor features a convenient deal with, in addition to a power cord and air hose that tuck away for simple transportation. 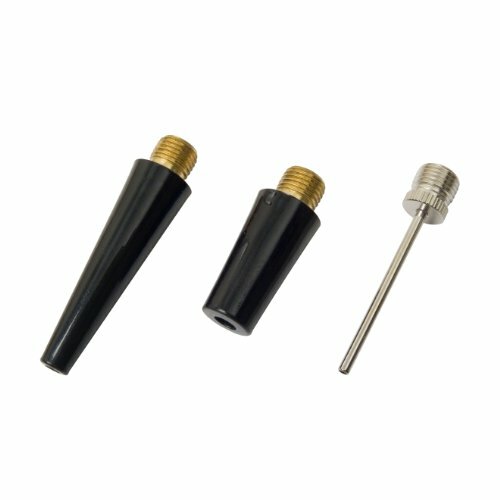 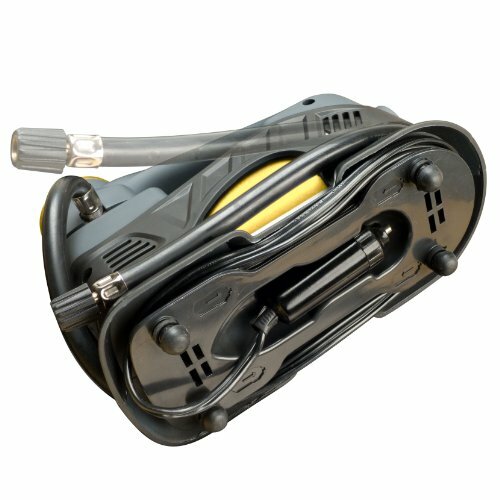 It is ideal for inflating car, truck and bicycle tires, in addition to sports and outside equipment with the included adapter tips. 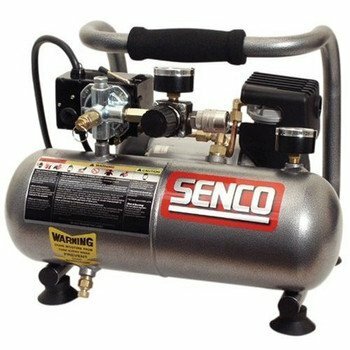 This unit is constructed with a strong rubber housing for extra durability and features a brass air nozzle with a very easy to read pressure gauge. 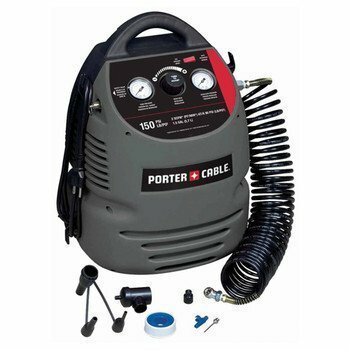 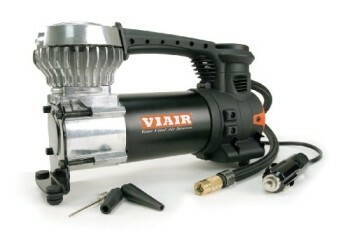 Working voltage -12V DC, rated power – 120 watt (10A), max run time – 15 minutes, air hose – 23.6 inches, DC power cord – 10 feet, max continuous PSI – 100.